Natural News isn’t the only website that attacks science and reason on a regular basis. They are legion. I could provide long lists, but I won’t. The site that appears most often as “evidence” for questionable health claims is mercola.com. Dr. Joseph Mercola is not as vile as Mike Adams of Natural News, but he’s very much an anti-science, anti-health and pro making-things-up-for-money kind of guy. When I see anyone using his website to back up their assertions it’s pretty clear to me that they don’t know what they’re talking about. He’s turned himself into a celebrity. He’s been on The Dr. Oz Show twice (which pretty much destroyed what was left of Dr. Oz’s reputation as a purveyor of reliable information). He gets nearly two million hits on his website every month. Mercola.com and Mercola LLC brought in just under $7 million dollars in 2010 alone. He peddles fear and misinformation and it’s made him a very wealthy man. He promotes homeopathy for Autism, is an anti-vaccination warrior and promotes every unproven and disproven nostrum you can think of. No matter what he writes about you can be sure he has a product on his website that you’re going to want once you know the “truth” he’s selling. If a real doctor recommended a treatment and then sold you that treatment he or she would be seen as unethical. Mercola (he’s an osteopathic doctor not an MD) sells you everything he recommends and makes a whole lot of money from it. All the while he preaches that you can’t trust real medicine because, you guessed it, they make a whole lot of money from it. Does this smell of hypocrisy to you too? Of course medical doctors are meant to base their recommendations on science and evidence. No such restrictions apply to Mercola, and he makes the most of it. So if you are tempted to re-post an article from mercola dot com that someone shared on Facebook, think again. That’s a great way to destroy your own credibility. If you like anything that Mercola says, please do a bit of research and find out if it’s actually true. You may find out what many of us already know. He just makes it up. I agree with all you said, with the sole critique of the implication that an osteopathic doctor is less than an MD. That distinction ended more than 30 years ago. Osteopathic medical schools are just as scientifically based, just as rigid, and teach the exact same material as any other medical schools. The osteopathic med school grads have to pass the same tests as newly minted MDs. Go through the same residency programs alongside the M.D.s, and take the same Board certification exams. Your own nephew, a fine Physician, is a DO. That said, quacks come in all sizes and stripes and have proliferated with the advent of the Internet. Mercola is obviously a greedy hack who plays upon the hypochondriacs of the world. Here, there is no regulation on “supplements” and homeopathic medications and treatments and many are seriously harmed by the concoctions brewed and sold for big bucks by MD’s, DOs, chirpracters, and hoards of folk who claim special expertise but have no education or training. It is disgusting. For me, the only homeopathic treatments or supplements I will consider using are those actually prescribed by my physician, and which have been actually subjected to tests. Homeopathic treatments are water. Nothing else. If you belief the sales pitch they’re magic water. There are no homeopathic supplements so far as I know, and no homeopathic treatments are prescribed by real doctors. Plenty have been subjected to tests. They have failed those tests. In Australia Osteopaths are not doctors. My point in the post was to point out that he wasn’t an M.D. – a distinction that matters to some people. I don’t know what Mercola studied or where, but it certainly wasn’t science. If he did study science he must have decided that there was more money in quackery. And I suspect he was right. You’re both right: in Europe and Commonwealth nations, osteopaths are not doctors. In the U.S., they are fully accredited physicians and surgeons with degrees fully equivalent to M.D.’s (plus some extra training in cracking backs, that sort of thing). The confusion causes no end of consternation for the U.S. doctors. Otherwise, no quibbles. If it looks like a quack and sells like a quack, it’s a quack. Human Beings are suckers for snake oil merchants – even the ones who consider themselves to be intelligent. 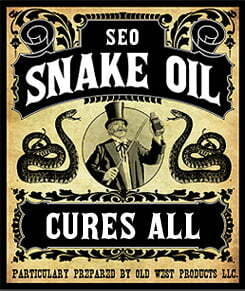 Check out snake oil merchant Dr Fluhrer – closer to home this time. Based in Sydney. My ex used to swear by him. The huge medicine basket (on the kitchen bench I may say like it was part of the food staple) was packed with his snake oil remedies for nearly twenty years. This guy claims he reduced the development of Alzheimer of my ex-mother-in-law. Easy claim to make as you can’t compare. Did my ex get any better? Maybe, but there was always something wrong with her. Perpetual obsession with being unwell and this guy’s real interest is to sell the message that his patients are not well. Now, he has a cancer blood test to discover what all other blood tests can’t. Not covered by Medicare of course and you fork out a few grand to get it done. By who, a world famous doctor who has got a mysteriously small laboratory in Greece. Ground breaking stuff apparently, if that’s so – why hasn’t he got the Nobel Price for medicine yet. Naturally, this Greek doctor is an associate – different business, but conveniently registered at the same address as Fluhrer’s. Different phone number – same receptionist. He has got a nice sailing boat and I am thinking that I probably paid for the sails in the course of the last 20 odd years. Please search Father Kneipp, a catholic priest, who lived and healed people in the 18 hundreds in Southern Germany. Most of his treatments were bases on different applications of water, complemented by herbal remedies and Homeopathy. His treatments were so successfull, that the village, where he lived, became a world famous Spa, Bad Woerrishofen, and “Kneipp Chapters” are now worldwide. There are no lack of claims about any modality you care to choose. If you have actual evidence that Father Kneipp had anything to offer that is more than mere anecdote, please pass it on. Until then, have a read of this http://www.quackwatch.com/01QuackeryRelatedTopics/Naturopathy/naturopathy.html.